Coming Soon! 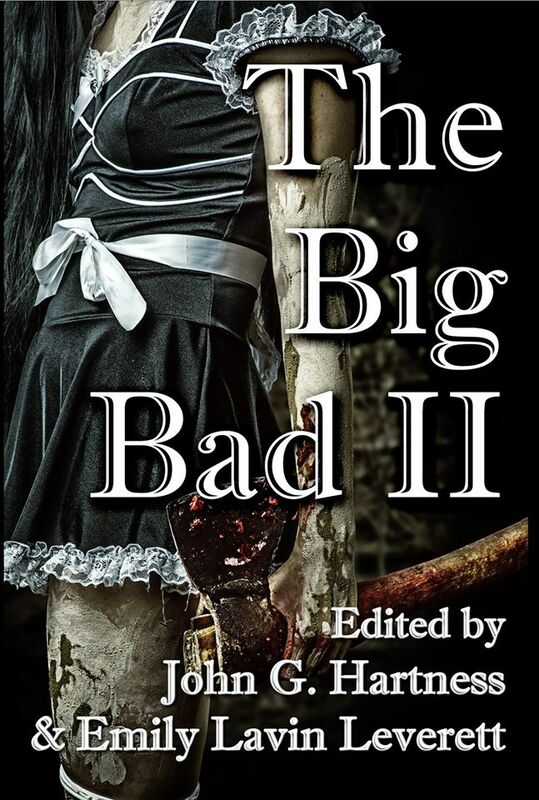 M. B. Weston’s “Witch Hunter” in The Big Bad 2 Anthology! If you’ve been following my Writing Diary Posts, you’ve heard me talk about the highs and lows of writing my newest urban fantasy pulp novella, currently staring a character named Michael Lodestone. (Note that all names are subject to change at the author’s whim until a library of congress number is established.) This whole novella idea came from a short story I wrote last year called, “The Witch Hunter,” which I submitted for publication for Dark Oak Press & Media‘s, The Big Bad II anthology edited by John Hartness and Emily Leverett. The story was accepted, and I actually performed it at DragonCon 2014. (Click here for a sample of the story.) While it falls under urban fantasy, I can let you know that part of my story inspired the cover, so I would say it falls under the horror/thriller genre as well. I have just received word that The Big Bad II is due to be released on February 24th, so stay tuned! Fantasy, steampunk, and paranormal novelist M. B. Weston is the author of The Elysian Chronicles, a fantasy series about guardian angel warfare and treason. Weston is also the hose of The Final Cut In Movies radio show that airs on TMV Cafe Monday nights at 8:00 EST. For more information on M. B. Weston, visit www.mbweston.com. To receive notification of M. B. Weston’s book releases click here to subscribe to Dark Oak Press & Media’s e-newsletter. Click here for a full listing of M. B. Weston’s published books, and be sure to check out her ever-growing list of published short stories here. This entry was posted in Books & Works by M. B. Weston, News & Events, Short Stories & Other Writings and tagged Dark Oak Press, horror, John Hartness, M. B. Weston, thriller, urban fantasy, Witch, writing. Bookmark the permalink.